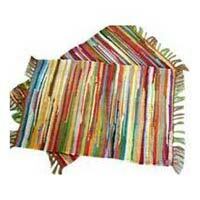 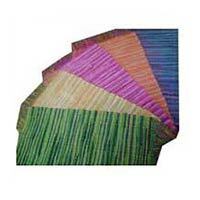 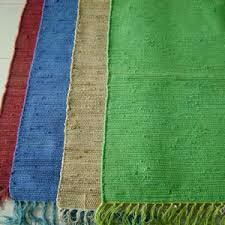 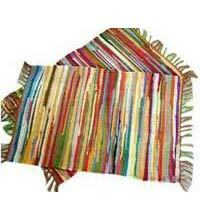 Sri Kumaaran Rugs Exports is a reliable Manufacturer and Exporter of Chindi Rugs. The range of Chindi Rugs, offered by us, includes Dyed Chindi Rugs, Multi Striped Chindi Rugs, Saral Chindi Rugs, and Plain Chindi Rugs. Our quality range of Chindi Rugs is available in a variety of designs, patterns, colors, and sizes to meet the varied requirements of clients. 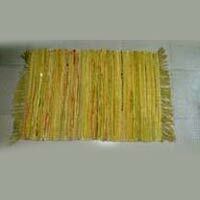 Moreover, these Chindi Rugs are durable, and can be availed from us at market leading prices.